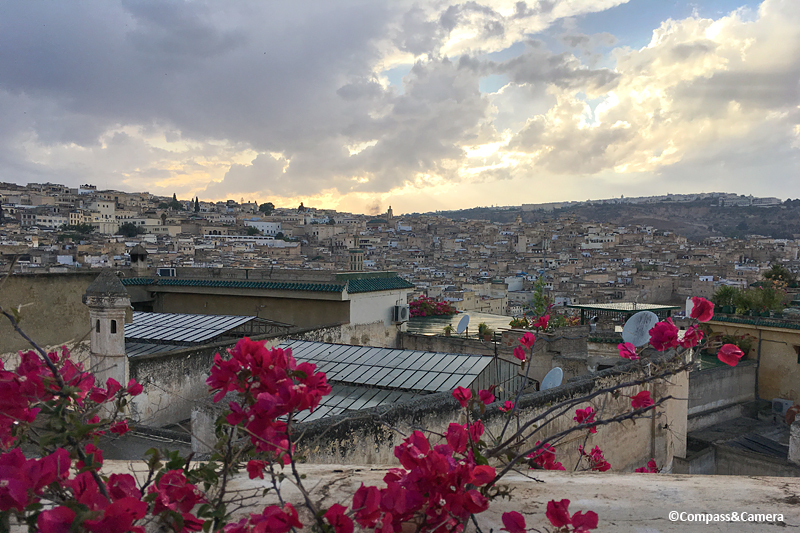 This post, your narrative as well as Paul Bowles words , and photos are beyond fabulous! The intro to that first photo…..bam! I fell in with a heart wanting to be there. You’ve outdone yourself on this one. That’s so awesome to hear! Thank you so much, Angel! 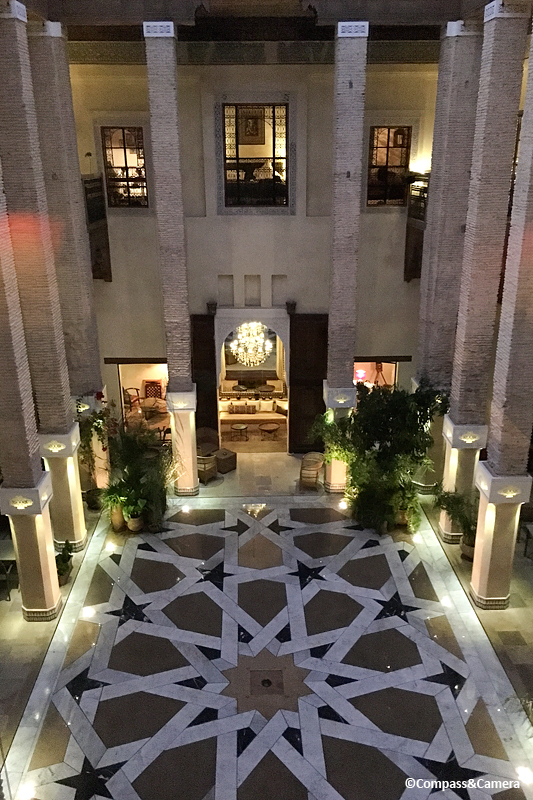 I just added a short video at the end of rain falling in the courtyard of the riad. We were sitting in the library listening to the music enjoying a bottle of wine. A perfect afternoon. Thanks again! Lovely feeling with video. I’m also glad I read your post on iPad to see photos so much better. Incredible is an understatement. Kelly, your beautiful photos and evocative words do Fez justice. 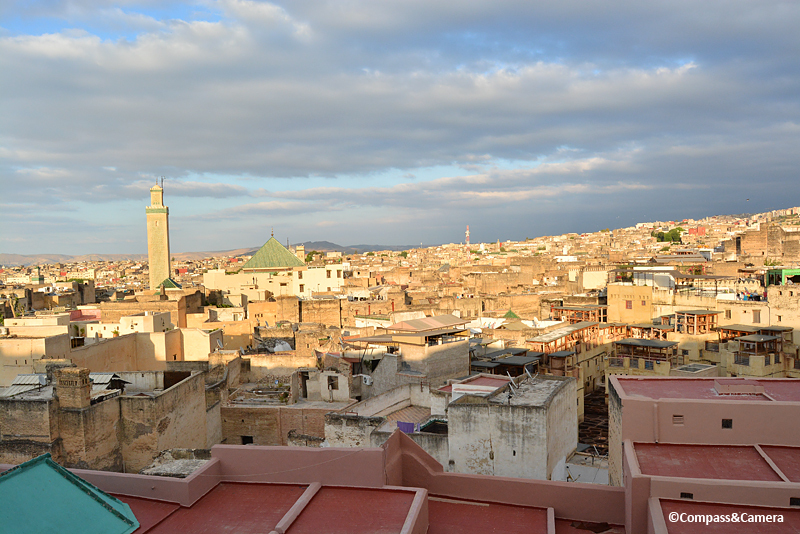 I know the tanneries are so unique to the city, but to read about its labyrinthine medina, lively bazaar, intricate plates and walls and floors, and that riad you stayed at … Fez seems to be a treat for the senses. Thanks, Bama! Definitely a treat for the senses! I’m sure you’ll feel the same when you go someday and experience it for yourself. Enjoy the weekend! Hey! Thanks, Dennis! Happy you enjoyed the post. And very happy to be part of the family!! Happy weekend and go Vikings! Thanks, Curt! What’s that saying … variety is the spice of life? Then it’s pretty spicy in Fez. 🙂 Enjoy your weekend! Wow! Talk about sensory overload. All that imagery: the people, the colors, the patterns, I suspect even the smells make the medina look like a place not soon forgotten. Exactly right, Dave. Fez leaves an impression. I’m still thinking about it, hoping someday I can go back and spend more time. Hope you have a great weekend! Loved this post! Kept reading bits out loud to Don. And your photographs are wonderful. I was in Morocco for only a few days back in 1980(!) and my strongest memory is of the Fez medina. Your post has expanded my view of it and made me want to return all the more. Thank you so much, Alison! I’m not surprised the Fez medina is your strongest memory of Morocco, and in 1980 it was probably even a bit more vibrant than it is today. So that makes two of us — I would love to return as well. Hope you and Don are well. Enjoy your weekend! Thanks, Peta! So happy you enjoyed the post and trip down memory lane. Not surprised you shipped plates and tabletops back home — wish we could have brought back more, although we did manage to bring two rugs home as carry-ons! Looking forward to reading your post on Essaouira and being inspired to return again to this fascinating country. Thanks for the tip and for stopping by! 🙂 Hope you and Ben are enjoying the weekend. This is so beautiful – I wish I were there looking at the ceramics rather than here in my room with my textbooks. Thank you for sharing this! Ha, ha, thanks Ratika! Hopefully I gave you a little Moroccan escape from your studying. Thanks for your comment and enjoy the weekend! I immediately bookmarked this, Kelly, because I’m on my annual “sister trip” right now in Ecuador, and one of the places we are talking about for next January is Morocco! What month were you there that was off-season? 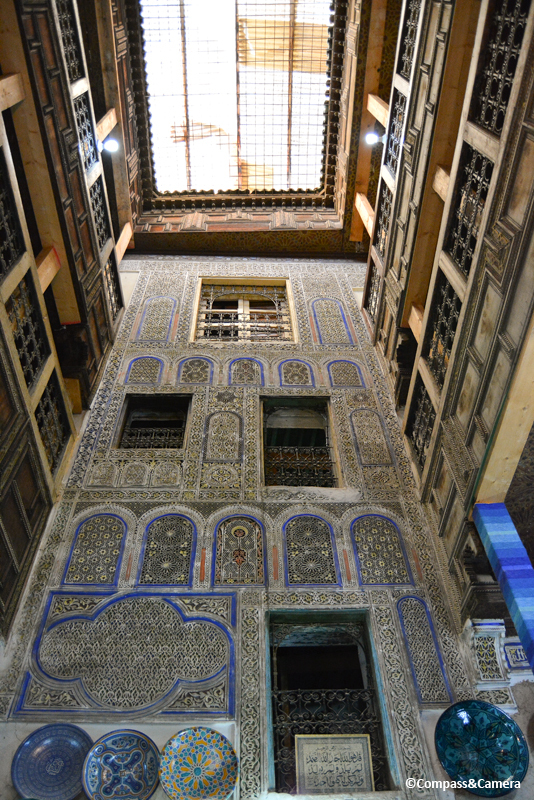 This riad is gorgeous! The medina shots are so colorful, and I love the idea of wandering aimlessly in there. Great post! Hey Lex! Hope you’re having a great time in Ecuador! 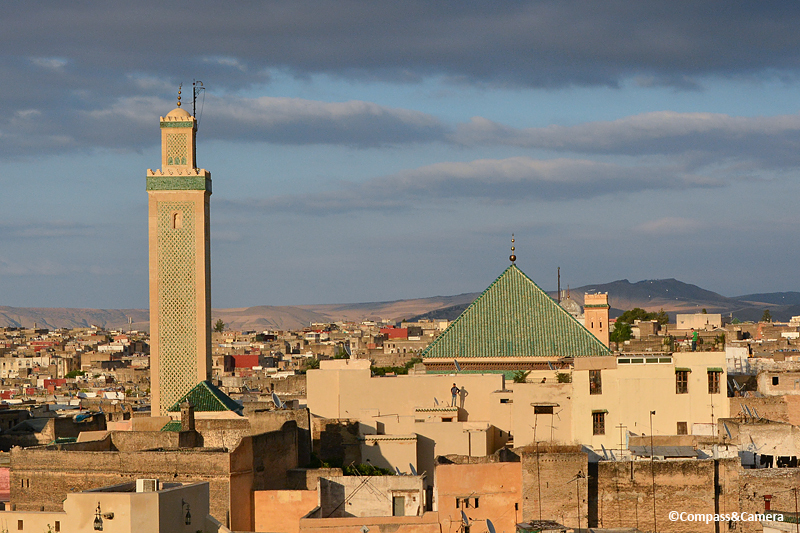 You would LOVE Morocco, and I encourage you to keep considering it! 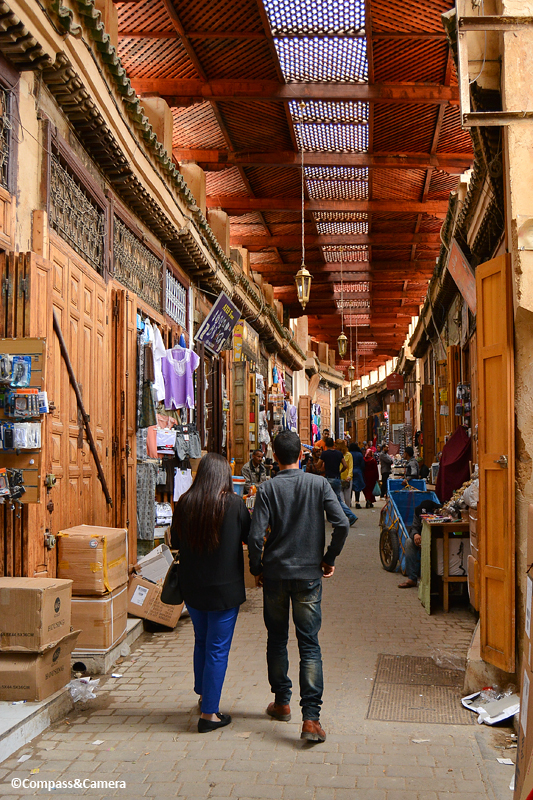 There’s so much to explore — the medinas of the cities, the coast, the desert, the Atlas mountains. So much culture and beauty. We were here in late April (and were also in Marrakech in April, 2007) and although it rained on two afternoons, the weather was generally warm and sunny, and tourists were scarce. I would imagine January would be a great time to visit as well. Hope you go! Exceptionally well written, detailed and descriptive. I almost felt like was there too! And, as always, the photos are gems. Thanks for sharing this with us, your readers. Kevin, thank you for being one of my readers and for sharing such a nice comment, too! I always love to hear when I’ve taken people with me through my words and photos. That’s always my goal. More to come! Hope you’re enjoying the weekend. ~K. Morocco was already on my bucket list. Seeing your photos has cemented it now. Everything is stunning and more colorful than I imagined. Thanks for sharing. Hey jwo! Wonderful! 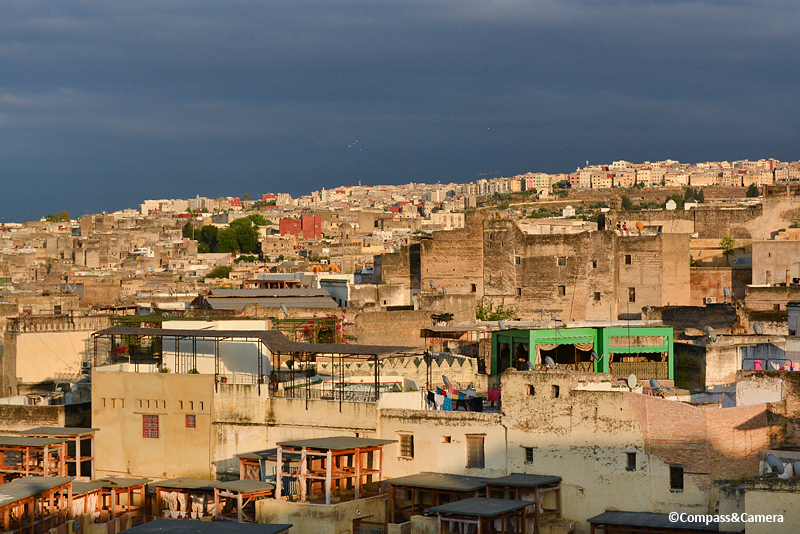 Morocco is indeed stunning and colorful. Very happy to hear you plan on going. You won’t be disappointed. Thanks for sharing your thoughts!